Can Higher Ed Revive Rural North Carolina? Many rural counties in the United States—including those in North Carolina—are on life support. They are struggling with shrinking and aging populations, shuttered businesses, disappearing job bases, and a general sense of hopelessness. While their plight may be common knowledge, there is little consensus about how this situation can be resolved. Some policymakers and researchers dedicate extensive efforts to halt and reverse rural North Carolina’s decline. Other observers are skeptical of those efforts and view the decline as inevitable, with little else that can be done other than to manage it as best as possible. Higher education officials tend to be optimistic about the future of rural counties. 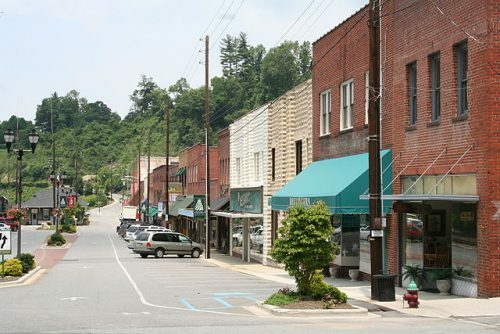 A common belief in the University of North Carolina system (and elsewhere in state government) is that the more targeted and strategic it can make its efforts, the more likely that rural towns will have the resources they need to get back on their feet. In light of those beliefs, the University of North Carolina system has made outreach to rural North Carolina one of its main goals in its current five-year strategic plan. 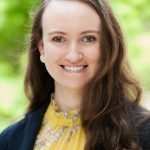 For one, UNC seeks to increase system-wide enrollment of students from rural counties by 11 percent, as well as increase rural students’ college graduation rates 20 percent by the year 2022. The Rural Prosperity Initiative is a recommitment of our university to bring the resources from across the university…to come together to figure out how we’re going to address those disparities and how we can have an impact across rural North Carolina. Yet, conditions in rural North Carolina don’t appear to be changing for the better. This is despite the combined efforts of both state and private organizations, many of which have been around for decades. One glaring example of how many North Carolina rural counties continue to lag behind the rest of the state is their population loss: 33 of the 40 Tier 1 counties (the state’s most distressed counties) lost population between 2010 and 2017 (see examples in table below). This has happened while the state as a whole has undergone a population boom, growing 7 percent in the same period. Wake County, which includes the capital city (Raleigh) and borders Research Triangle Park, grew by 18.2 percent in the same period. Additionally, the median age of residents in almost all of North Carolina’s Tier 1 counties is between 40 and 50 years. This is notably higher than in more densely populated areas such as Mecklenburg County, which has a median age of 35. Older populations indicate that younger people are leaving for opportunities elsewhere. This development seems particularly disheartening for those who hope higher education can contribute to the rebirth of depressed rural areas. Despite the university system’s presumably good intentions, its efforts seem to paradoxically contribute to the further decline of rural communities. In a postindustrial economy that places such a high premium on education and credentials, the flight of so many young people is transforming rural communities throughout the nation into impoverished ghost towns. Consequently, many higher education leaders may find themselves in a catch-22: although a number of rural students may benefit from higher education, luring students out of those counties only further contributes to “brain drain.” To combat this problem, some higher education and state officials have devised various plans to incentivize students to either return or kick off their careers in rural North Carolina. For example, the TIP Teaching Scholars Award Program offers students at North Carolina State University a $10,000 bonus if they work as teachers in one of the state’s struggling rural school districts. And there are several programs, such as the Community Practitioner Program (privately funded), that incentivize health practitioners to work “in a documented health professional shortage area, medically underserved area or economically distressed area.” Those who participate in these programs have the benefit of financial and loan repayment assistance. We’ve got to create some kind of hub to keep the east and the west alive—and I think our universities are a great shot with helping them with that, as well as our community colleges because they also create a product for job creation. Of course, those trying to revitalize rural towns are aware of the dearth of available jobs—which is why there have been numerous efforts to incentivize businesses through tax breaks and grants to relocate to these struggling areas. At North Carolina State University (NCSU), some experts believe that the eastern and western parts of the state are poised to welcome new industries that may provide jobs for current and new residents. In a Martin Center interview, NCSU economic development partnership director Tom White and NCSU business development coordinator Melissa Sharp explained that there appears to be a resurgence in demand for local textile plants—and that the western part of the state is well-positioned to attract that industry. As for the eastern part of the state, there are predictions that the hemp industry (which produces flour and fiber useful for the pharmaceutical and textiles industries) may grow there and provide numerous employment opportunities. But until there is a significant turnaround in rural North Carolina’s fortunes, their hopes are just conjecture. Looking at the labor force participation rate, which is the percentage of individuals of working age and ability who are actively employed or seeking work, suggests a deeper problem. Even if efforts to attract businesses turn out to be effective, state leaders must also recognize the fact that the labor force participation rates in a number of the state’s tier 1 counties dismally trail those of more prosperous counties and the overall state. Some Tier 1 counties had labor participation rates below 50 percent in 2015, (the most recent year for which county-by-county data is available), whereas the state’s overall rate has stayed roughly constant at 61 percent. Low participation rates indicate that people who are capable of seeking work, for some reason or another, choose not to do so. This suggests that a lack of jobs is only part of the problem (see above chart). Indeed, the notion that the travails plaguing much of rural America are purely economic seems to be an overly simplistic diagnosis of a complex social problem. One of the voices calling attention to this reality is Yale Law School graduate and author of Hillbilly Elegy, J.D. Vance. In his book, Vance recounts his experiences growing up in the post-manufacturing town of Middletown, Ohio. I once held this opinion myself, and I very desperately wanted to believe it during my youth. It makes sense. Not having a job is stressful, and not having enough money to live on is even more so. As the manufacturing center of the industrial Midwest has hollowed out, the white working class has lost both its economic security and the stable home and family life that comes with it. But experience can be a difficult teacher, and it taught me that this story of economic insecurity is, at best, incomplete. Vance goes on to tell an anecdote about a 19-year-old man he knew who worked with him at a tile manufacturing business. In terms of economic security, the young man was rather well off: he would make enough to live above the poverty line with his pregnant girlfriend, who also had a job as a secretary. Nevertheless, both he and his girlfriend both squandered their livelihoods by chronically missing work every few days. Vance connects the lack of personal responsibility he describes to the unhealthy and dysfunctional family atmosphere that plagues most homes in his hometown—ranging from drug and alcohol abuse, violence, and emotional trauma. He emphasizes how much these factors take a toll on a child and how they contribute to cultural and social upheaval. There is 58 percent decline of people who are involved in civic clubs, 43 percent decline in people talking to their neighbors, [and a] huge decline in participation in city government. The people who used to be working towards solutions in their communities increasingly are retreating away from their front porch, into their air conditioning, on to their television. Boney also listed a decline in church attendance and voting rates. However, he is still optimistic about the future of rural North Carolina. And he said that IEI is going to be working over the next three years on an initiative called Reconnect NC, an endeavor to get residents across the state to work toward solutions together. However, one can’t help but question the long-run effectiveness of such programs. Can they offset the exodus of young and educated people from rural towns, provide enough jobs for those who live there, and resuscitate broken economies? As the data suggest, the forecast isn’t positive. Clearly, rural communities are in need of economic, cultural, and civic renewal. The question remaining is whether higher education initiatives and other state programs really have the ability to jumpstart that renewal. It may take something stronger and deeper, some major unforeseen event that brings the middle class back to the small towns. Or, perhaps, some form of spiritual rebirth will lift the existential gloom and spread of social pathologies. But until events prove otherwise, hope may be best tempered with realism.